The AlcoMate Core is an affordable alternative to consumers that want a reliable, accurate breath testing device but would prefer the benefit of lower pricing over the advantages of pre-calibrated sensor modules. The AlcoMate Core digital professional alcohol breath analyzer is a U.S. 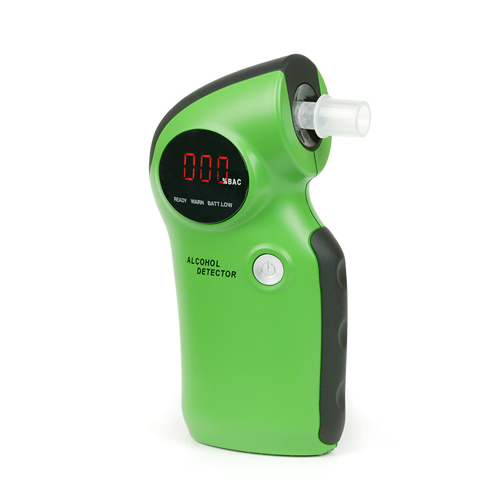 DOT approved precision alcohol breathalyzer which employs an advanced integrated MEMS microchip gas sensor to measure your blood alcohol content within a range of 0.00% to 0.40% BAC in .01% increments. AlcoMate Coredelivers .01% or 10% accuracy at 0.10% BAC . Results are displayed on a bright digital display. The AlcoMate Core boasts many features found in more expensive units such as a cumulative test counter, audio notifications, replaceable mouthpieces, and a flow check sensor to ensure a proper breath sample was collected . Easy and convenient to use, the AlcoMate Core is recommended for both personal and professional screening. The AlcoMate Core includes 8 specially designed one-way mouthpieces that prevent subject sampling manipulation and insuring proper breath sampling. 3 second blowing time allows for deeper lung samples, ensuring more accurate readings.